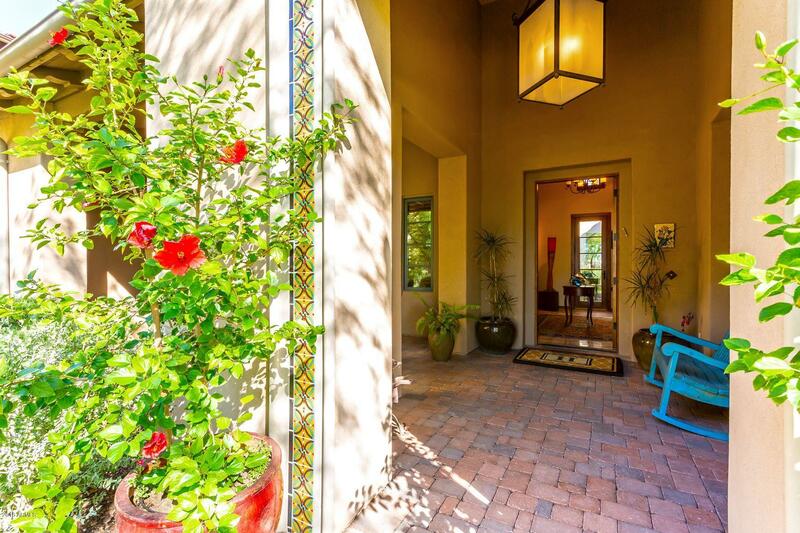 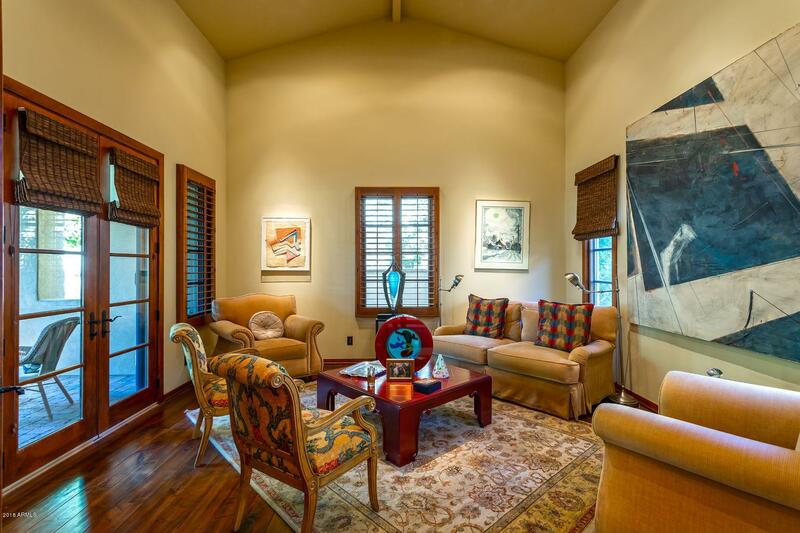 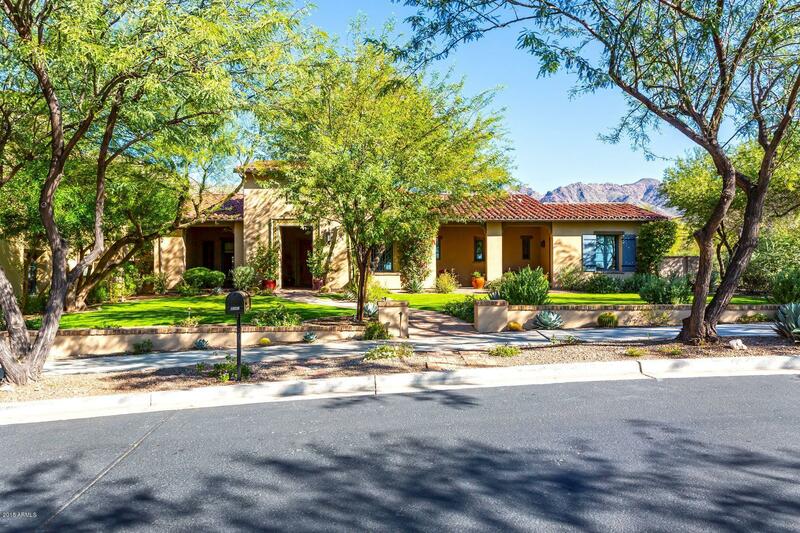 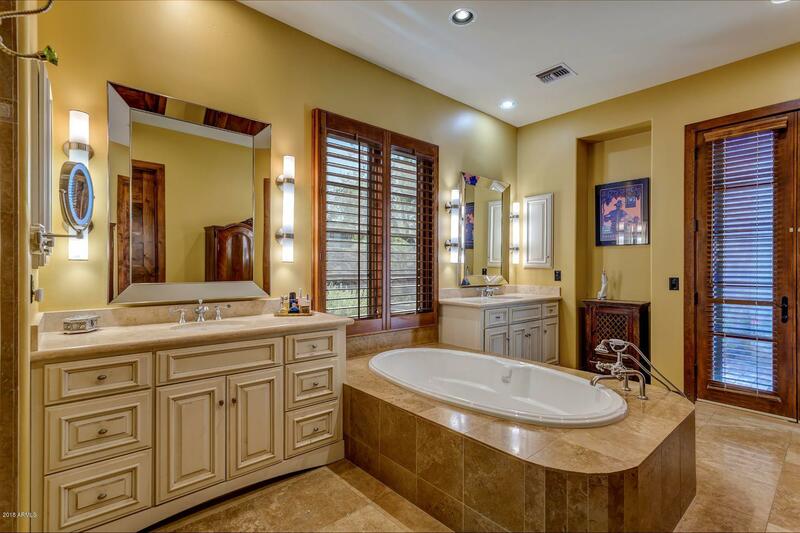 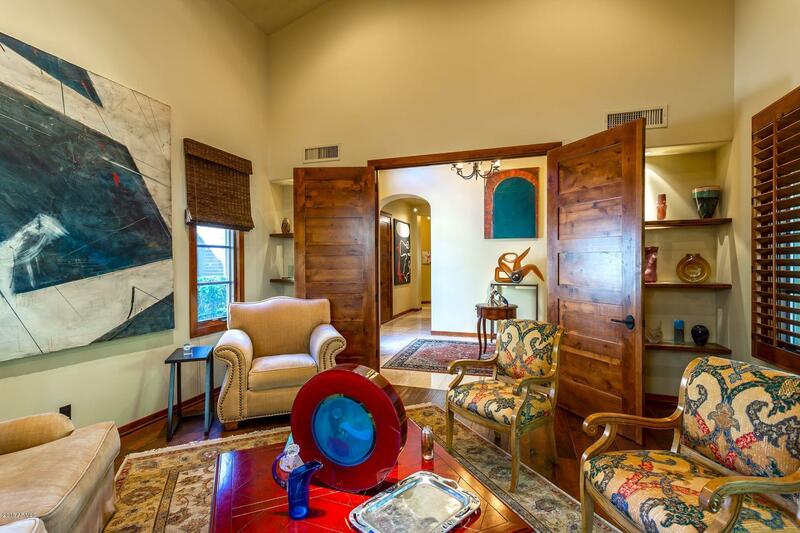 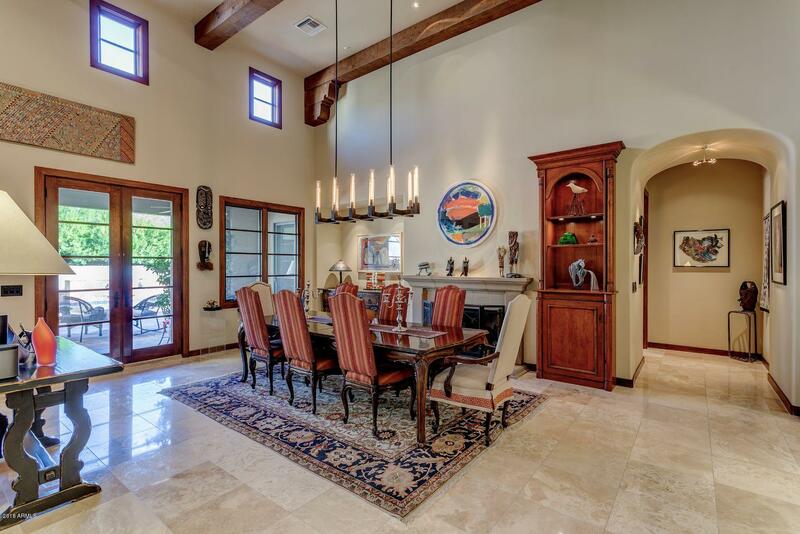 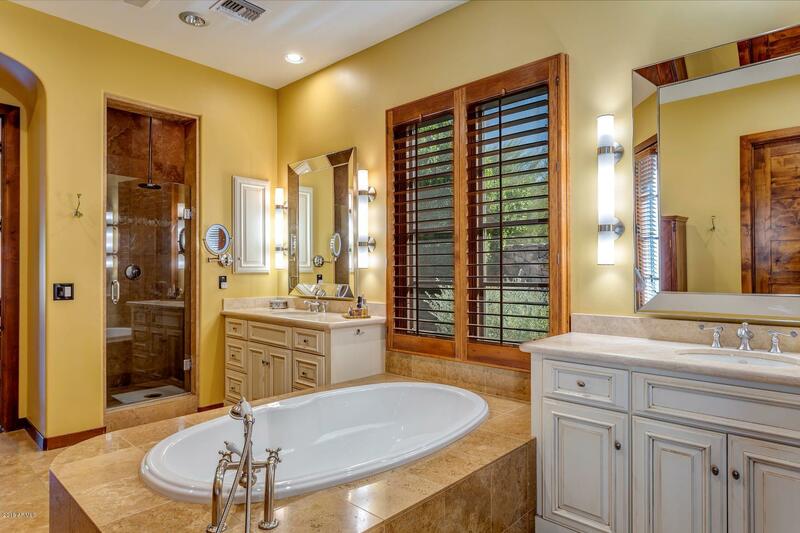 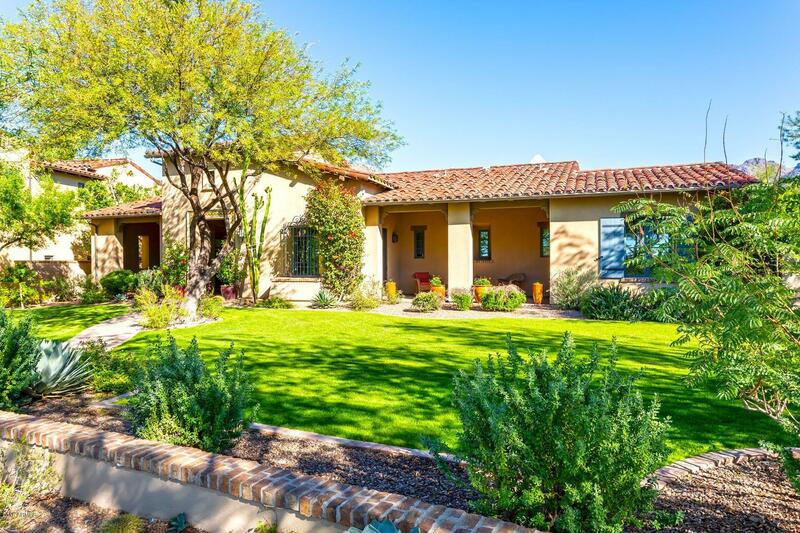 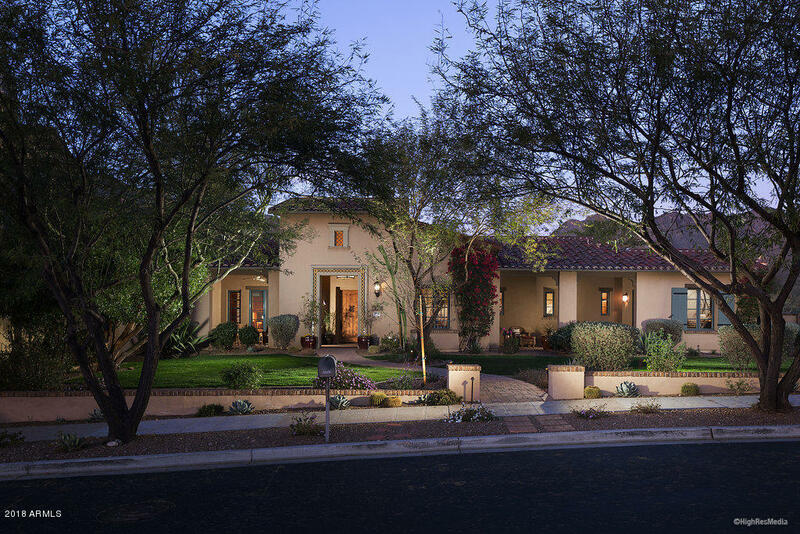 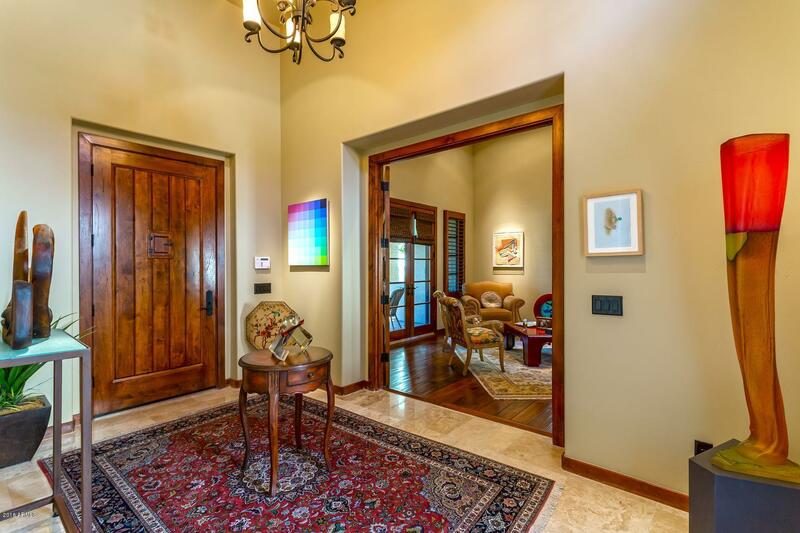 Gorgeous home situated on a large corner lot in the exclusive Parks neighborhood at Silverleaf, offers privacy and tranquility. 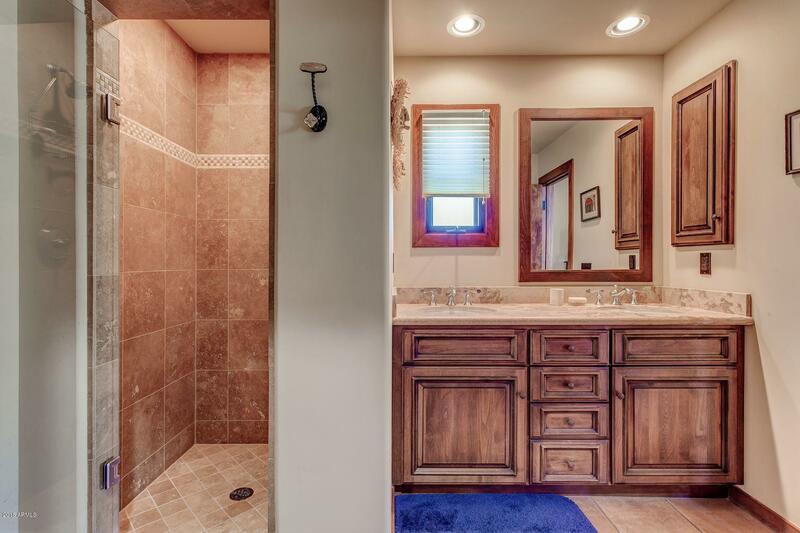 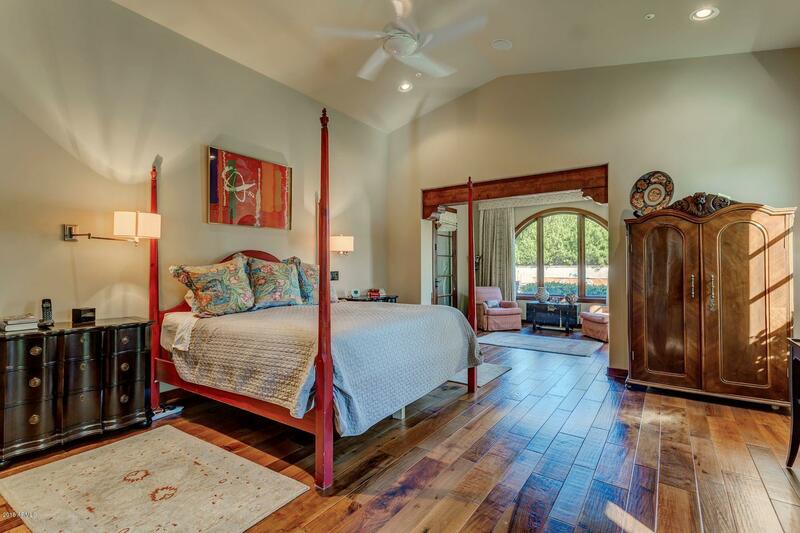 The 4,649 SF floor plan is mainly single level with no stairs except for junior master suite. 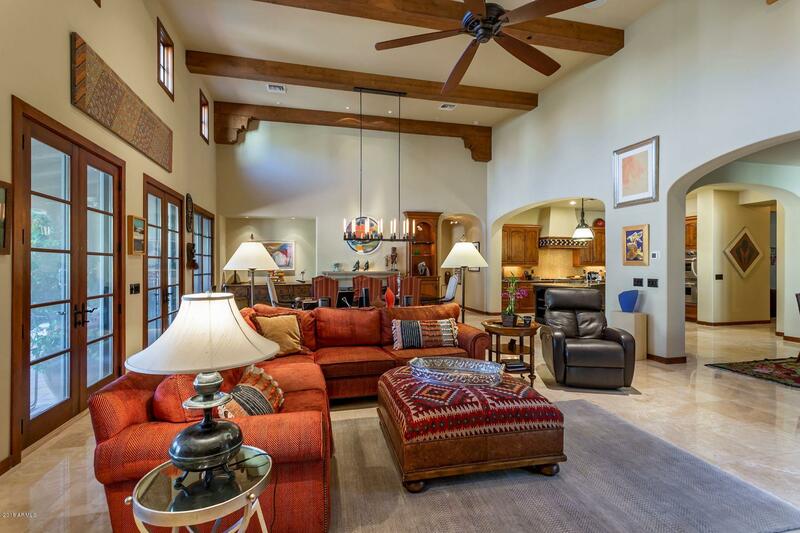 A generous great room with wood beam soaring ceiling, travertine flooring, custom TV entertainment built-in on one side and fireplace on the other. 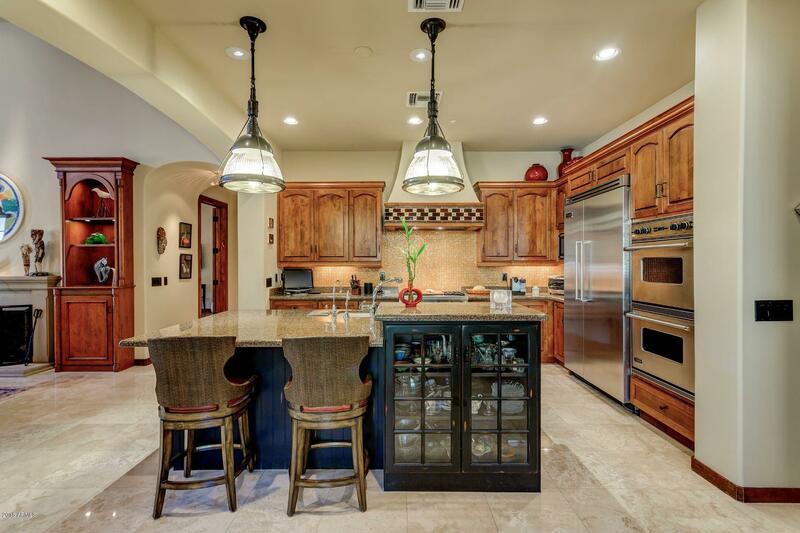 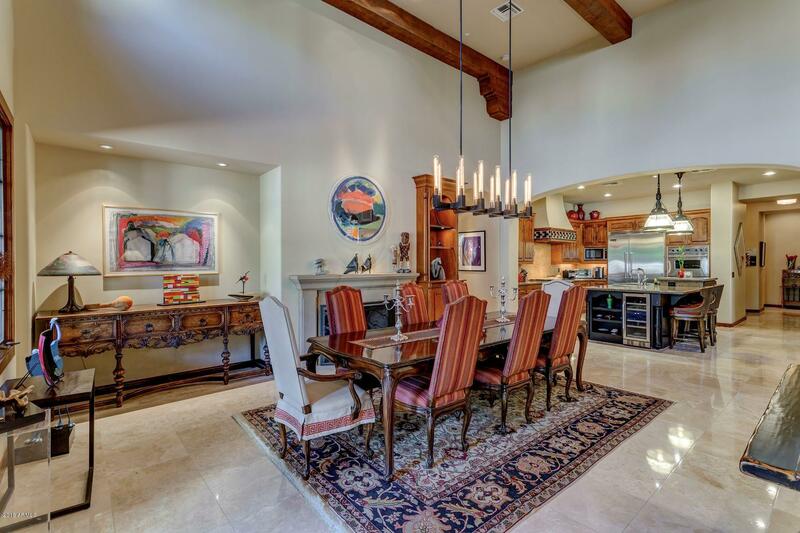 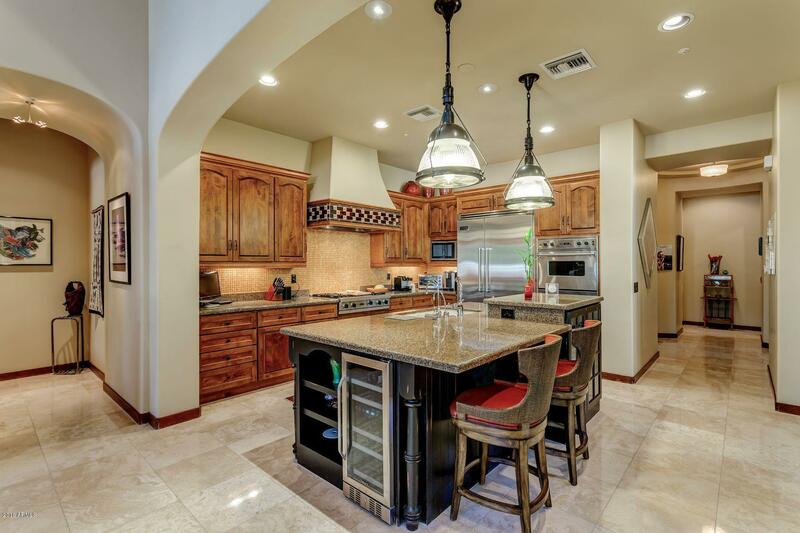 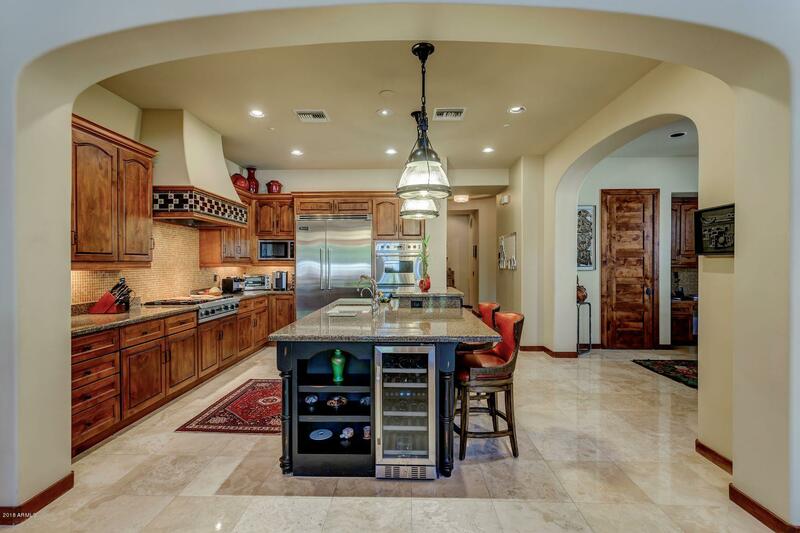 Great room opens directly to the warm Chef's kitchen with Viking appliances and undercounter wine refrigerator. 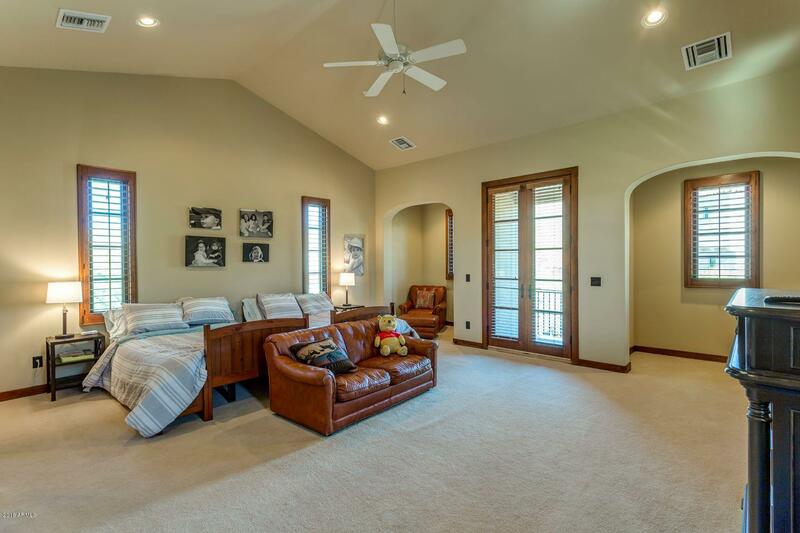 The Master Retreat is spacious with wood flooring and a quaint seating area with arched window that overlooks the pool and opens to backyard. 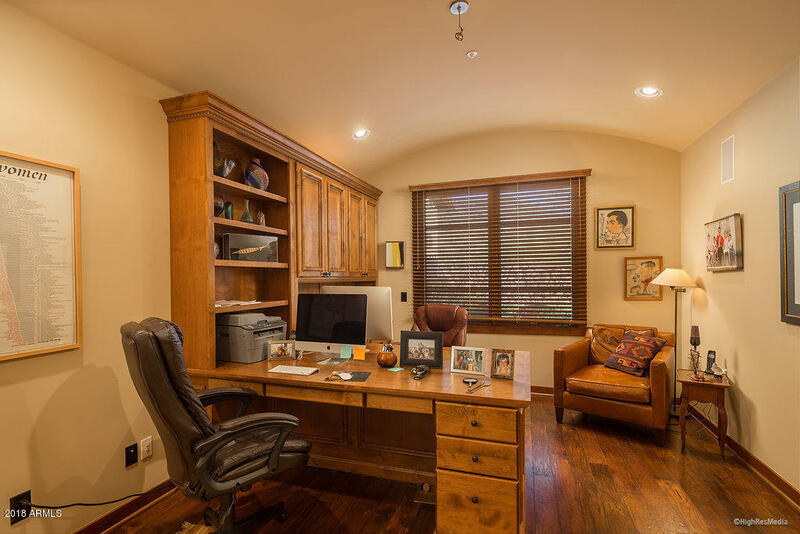 Two guest suites open to their own covered patio, the office features a built in his and her desk space, storage and book shelves and wood flooring. 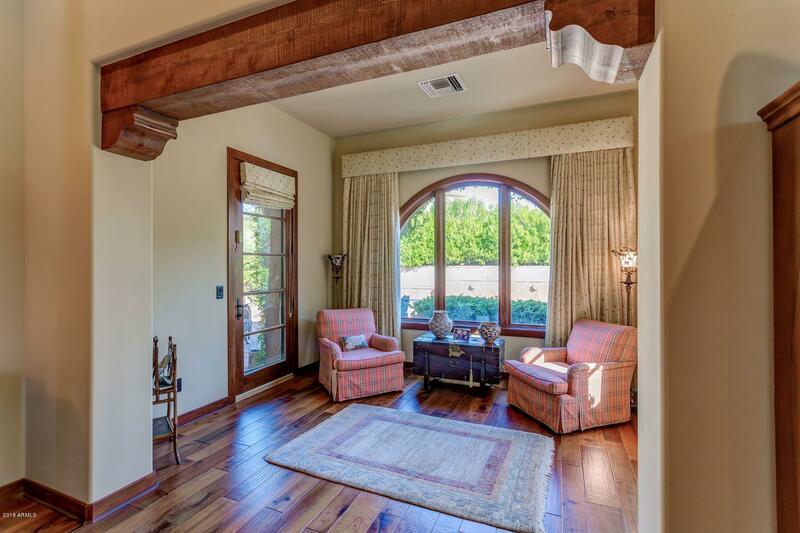 Front sitting room off the foyer opens to covered patio for the desert sunsets. 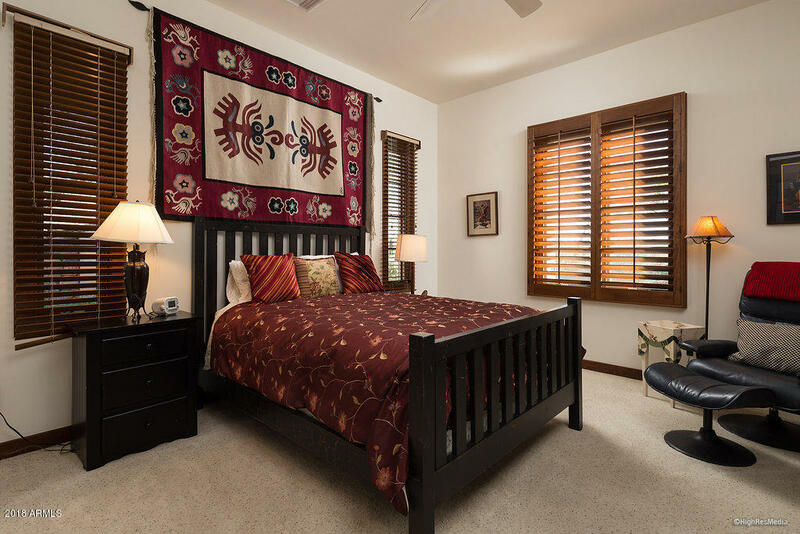 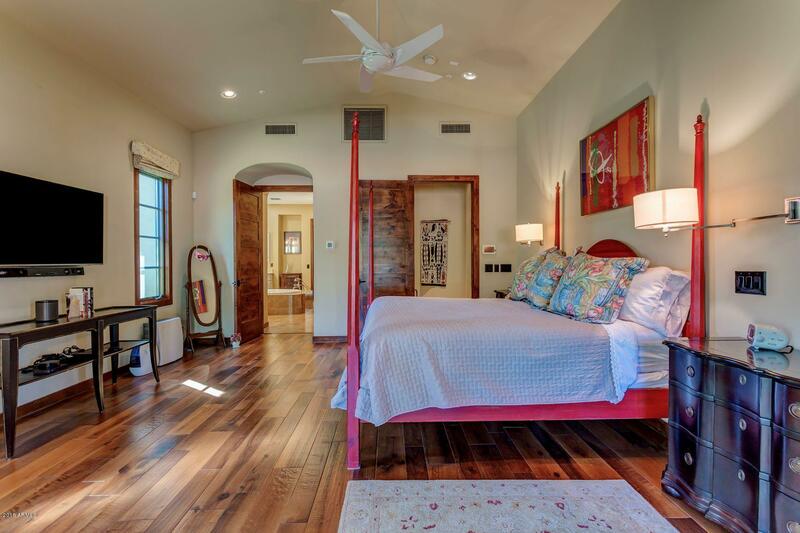 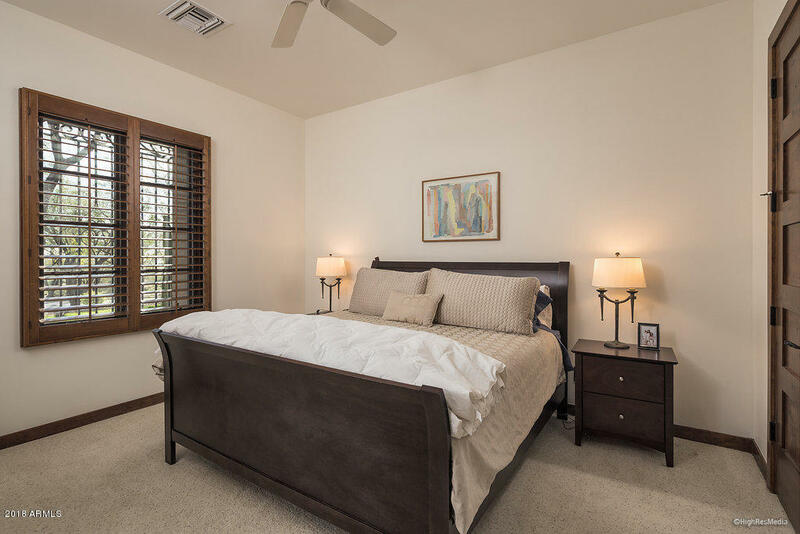 Junior master suite is perfect with sitting area and room for a desk and has its own private balcony with mountain views. 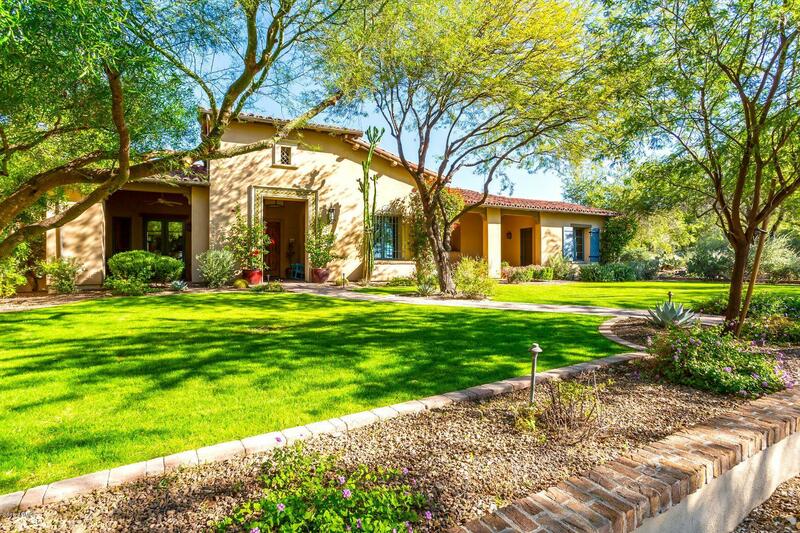 The resort like backyard has a beautiful pool with fountains, lush landscaping, Canterra stone deck and built-in BBQ. 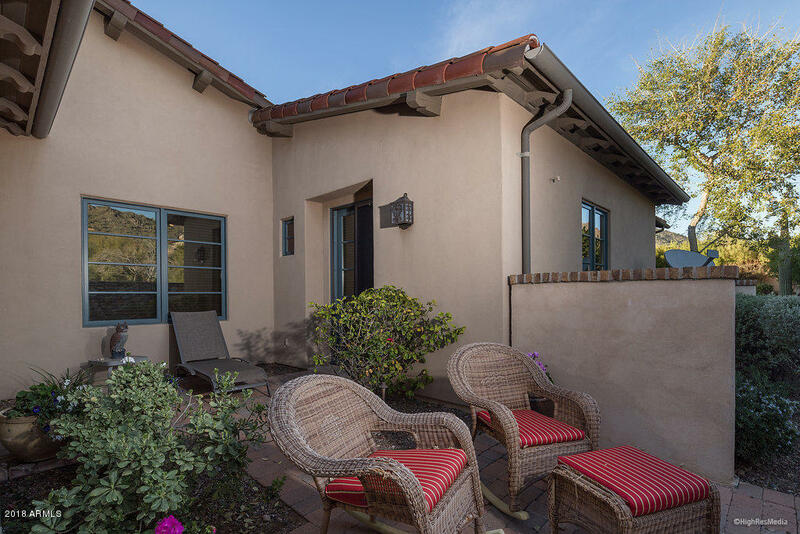 There are also 4 additional charming outdoor patio areas to enjoy the Arizona weather.